Chris Carlsen is the founder of Iron Lion Performance (aka Head Lion) and was born and raised in Astoria,NY. He is a former Division 1 athlete, and is a Certified Strength and Conditioning Specialist (C.S.C.S). In addition, he is a Strong First Girya Kettlebell Instructor (SFG,Beast Tamer) , and holds specialized certifications in Fitness Therapy (ISSA) , Functional Range Conditioning(FRC) and Pre-Post natal. He has also completed the Complete Olympic Lifting Workshop with national record holder Wil Fleming and continually searches out the best coaches to sharpen his craft. His articles have been published on Strong First (In-season Football Training) and Weck Method ( 5 Strength Exercises to Increase Speed). Although Chris trained as an athlete, he quickly realized that many of his clients could not initially perform at such an advanced fitness level. More importantly, many of them had pre-existing injuries and movement limitations, both of which negatively impacted their workouts. As a result, Chris figured that his expertise in strength training alone would only get him so far. In order to fully help his clients reach their goals, he needed to educate himself in the area of physical assessment. In his journey for information on movement therapy, Chris discovered Gray Cook and his Functional Movement Screen (FMS): a system for evaluating one’s flexibility and mobility. Chris learned the FMS assessment and purchased the entire “Secrets Series” by Cook, which was a gateway to the work of various strength coaches, including Pavel, Mike Boyle and Eric Cressey. These coaches were, and continue to be, the leaders of a larger movement towards functional, movement-based training within the fitness world. Chris adopted their philosophies, combined it with what he already knew and created a training system that brought his clients myriad success. It's a system that he has cultivated over the last twelve years of being a professional coach. Coach Jason was a competitive athlete for 20 years. Throughout his highschool and college careers, he experienced his own struggles with injuries and pain management, piquing his interest in anatomy and physiology. Due to an unexplainable back injury, his promising soccer career was cut short and he decided to begin his journey in the study of strength and conditioning. Jason received his B.S. from Wichita State University in Sport and Facility Management. To add to his versatile strength and conditioning resume, he is currently in pursuit of his M.S. in Athletic Performance and Nutrition from Concordia University. After working for the Kansas City Royals organization he realized the sedentary desk life wasn’t for him and moved to New York. In his 8 years of living in New York he has completed three mentorships with the Institute of Motion. He is a Functional Range Conditioning (FRC) Mobility Specialist, a Functional Range Assessment (FRA) Specialist, and a StrongFirst I Kettlebell (SFG) instructor. He has completed over a years worth of continuing education to be a Precision Nutrition coach, and now works with our members and sport performance programs alongside Dietician Lauren in our ILP nutrition program. He is also a pre/post natal certified coach and has helped many expecting mothers during their journeys into motherhood. Today, Jason has developed into a fantastic coach and instructor. 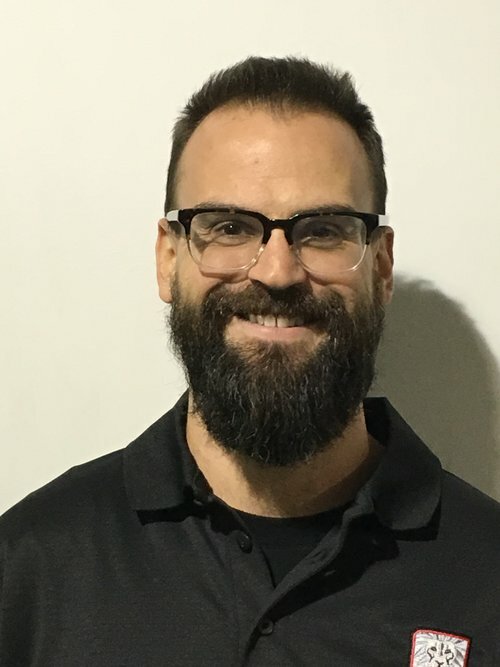 As part of the ILP team he performs assessments, writes programs, coaches the many members and athletes of our community, he also is our head Kinstretch instructor. We are happy to call him one of our own! Hayley Bridgewater – Hayley is a Certified Personal Trainer through the National Academy of Sports Medicine (NASM) and holds mulitple credentials through Strong First : (SFG-2) Kettlebell, (SFL) Barbell, and (SFB) Bodyweight. She is a Functional Range Conditioning Mobility Specialist (FRCms), a Precision Nutrition Coach (PN1), Somatic Exercise Coach (SEC), and was in the premier class of Certified Wreckbag Trainers. Hayley found her way into the strength training field through a long career performing and teaching dance and gymnastics, giving her special interest in endurance athletics and power sports. When not in "The Den", You can find her immersed in all things combat sports, boxing at the legendary Church Street Boxing Gym, and coaching the lovely ladies of She Fights Foundation. Hayley has been a long time staff writer for Western Queens publication, BORO Magazine which allows her to stay close to the community that she loves and because "no performer truly leaves the theatre", is a grateful member of the SleepNoMore/McKittrick Hotel family. Andrew Xenophontos - is an FRC and SFG Instructor. He’s preparing to start his Doctorate in Physical Therapy in the fall of 18. 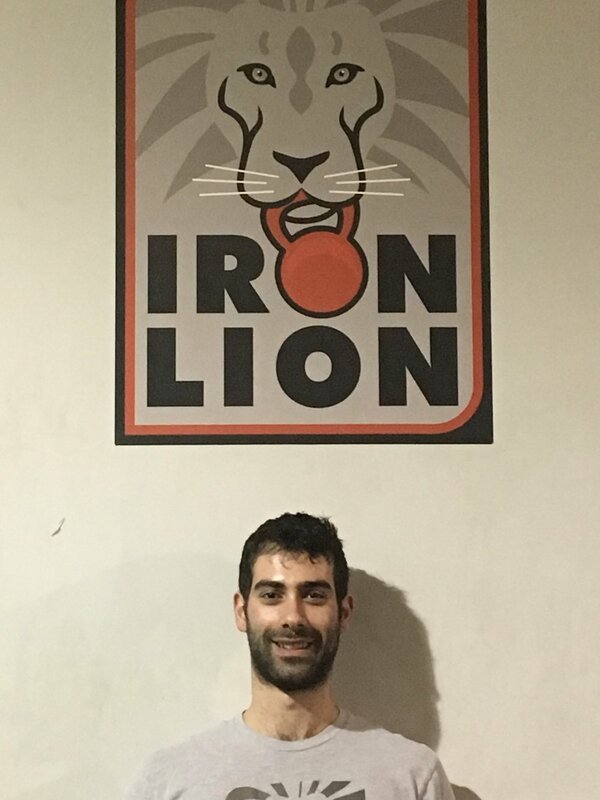 He met Coach Chris during is SFG 1 cert and their connection for training led to them working together at Iron Lion. Andrew is fascinated with movement and the resiliency of the human body. His youth was one characterized of un-coordinated efforts and confusion which inspired him to take matters into his own hands to become stronger, learn more, and become better coordinated in cultivating strength, skill, and passing the knowledge on. He lives to improve people’s movement and getting them stronger so they can endure the trials of their own life. As a coach he understands strength has a greater purpose and loves to help people uncage their potential.